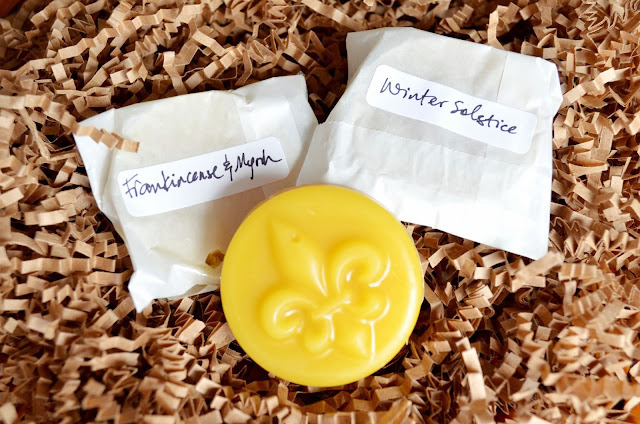 If you want to win the prize for the most beautifully scented house this holiday season, head over to the Grasse Roots Perfumery website and order some of their "Aroomatherapy" wax tarts. You just pop these yummy-smelling tarts into the top of a tea light diffuser. As they melt, the tarts release a natural, people-friendly scent into the air. They are available in three festive fragrances - pomander, winter solstice and frankincense & myrrh. I have been using our pomander tart regularly and the house smells incredible. Once the candle is out, the tart solidifies - just start over again the next day. They last a very long time. They would make a well appreciated hostess gift or sweet-smelling stocking stuffer too! Here's another idea for a luscious-smelling hostess gift - Grasse Roots Perfumery's Vanilla Orchid Room Spray is made with essential oils of patchouli, jasmine and zesty organic lime, infused with real vanilla beans. It is great for blasting your home with a heavenly scent moments before guests walk through the door. 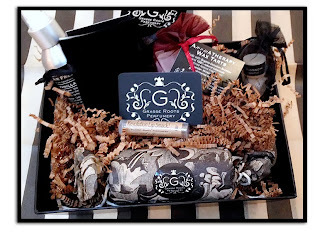 For any discriminating lady on your shopping list, Grasse Roots has a line of natural perfumes in liquid and solid form too. I have talked about Grasse Roots Perfumery's beautiful perfumes before here. Grasse Roots perfume oils are vegan and created with 100% natural essences and fine perfumery botanicals. They are made from rare and precious substances derived from flowers, leaves, roots, grasses, barks, mosses, resins, woods, seeds and earth. 1 Vanilla Orchid Room Spray (100% natural, with certified organic essences and in a base of natural grain alcohol). Eligibility - Canada and U.S. Enter using the rafflecopter widget below until December 16th. The Blood Orange Eau de Parfum sounds really good. I can smell those tarts from here! Bathing Beauty bath salts with ylang ylang, geranium, rosewood, and citrus. I'd like to try the revolution lip smack - my lips are constantly chapped in the cold! The Vanilla Orchid room spray sounds like a smell I would enjoy. The fragrance that appeals to me the most is the Blood Orange Eau De Parfum. All the Bath Salts sound appealing, especially this one: Vitality. The blood orange perfume sounds like it would be delicious. I would like to try their Revolution Lip Smack. i'm interested in that blossom solid perfume. I like the Brass Perfume Locket, Rose Design. Vanilla Orchid Room Spray sounds lovely! I like the Brass Perfume Compact, Botanical Design the most. 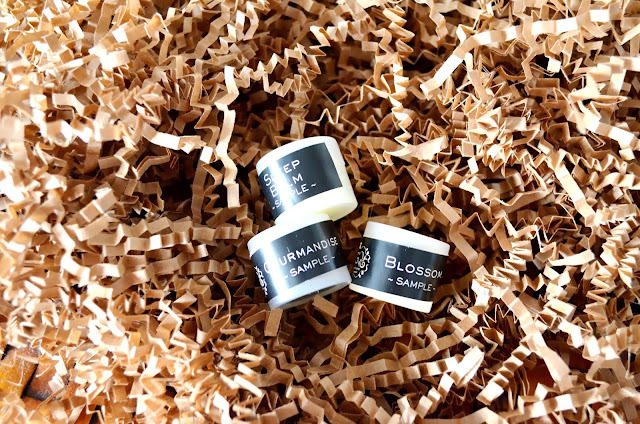 The sleep Balm Solid Perfume. I'd love to try the relaxing bath salts!! Oh I can only imagine how wonderful these things smell! 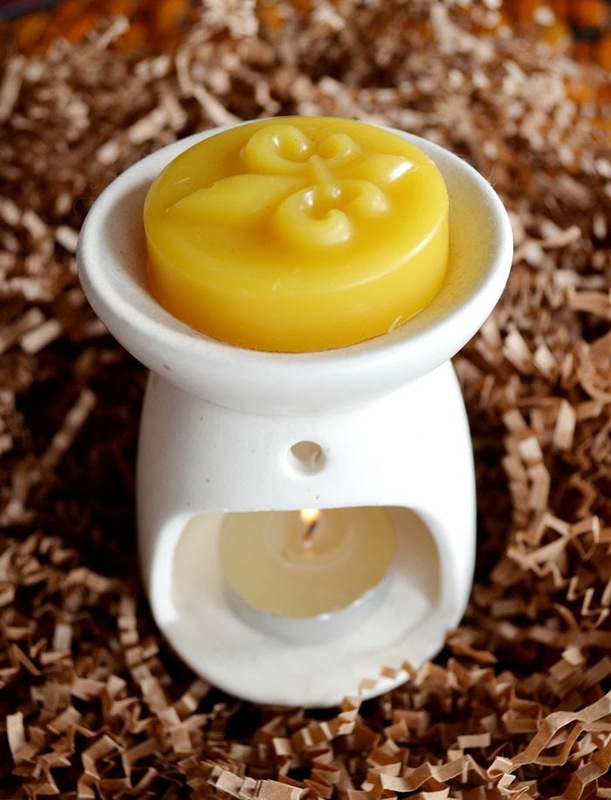 Love the idea of the wax tarts. I need the Revolution Lip Smack for snowshoeing! I keep mine beside my bed to use before I go to sleep! It tastes delicious! The Blood Orange Perfume Oil sounds almost edible! I would love to try to bath salts. The Vitality Bath Salts sound heavenly. I would like the wax tarts. Vanilla Orchid room spray is something that I would like try! Revolution Lip Chap, Gourmandise, & Blood Orange perfume in the solid are all amazing. I would love to try the wax tart - frankincense & myrrh, sounds scrumptious. The Geisha also sounds intriguing. I would love to have the sample set so I could try all the products! 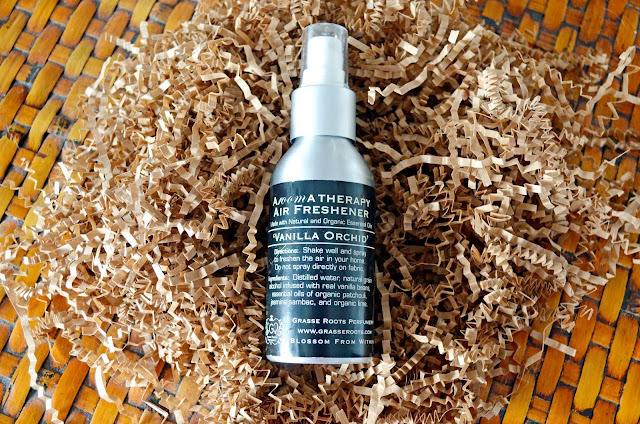 The Vanilla Orchid room spray, is something i would love to try. I would probably enjoy Delicacy Eau du Parfum. I don't like musky, spicy scents. This sounds light and airy--just the kind that appeals to me. The Vitality Bath Salts for my evening bath routine! I love the Bathing Beauty Bath Salts! I want to try the lip smacks. Vanilla orchard room spray! oh how the house would smell wonderful! I would like perfume sample set. The Aroomatherapy Wax Tarts sound interesting. revolution lip smack, what a nice web site, so many things I would like to try, hope I win! Oh, comment vanished, trying again... Loved the Gourmandise solid perfume, sounds yummy. The Geisha Perfume oil sounds like something I'd love -jasmine and other flowers with a base of earth, wood and spice. Yummy! I think the Revolution Lip Smack sounds neat! The fragrance that appeals to me is the Blood Orange Eau De Parfum. I'd like to try all of it?! The bathing beauty bath salts sound especially wonderful. I'd love to try their Conifer Bath Salts. The Brass Perfume Lockets are so pretty! The Conifer Bath Salts sound appealing to me. These products appeal to me so much! I love that they are created with 100% natural essences and botanicals. I love that they use substances derived from flowers, leaves, roots, grasses, barks, mosses, resins, woods, seeds, and earth. They all look wonderful, but I would love to try the sleep balm! the bathing beauty bath salts looks like something i would try! the vanilla orchid room spray sounds so good! The blood orange perfume sounds great. I'd love to try the Bath Salts Sample Set. I like the perfumes all in general. The Beloved Perfume Oil sounds good! I think I would like Ingenue and the lip balm. I like the Blood Orange Eau De Parfum! I like the Winter Solstice Aromatherapy Wax tarts. The room sprays look wonderful! I like the Conifer bath salts.